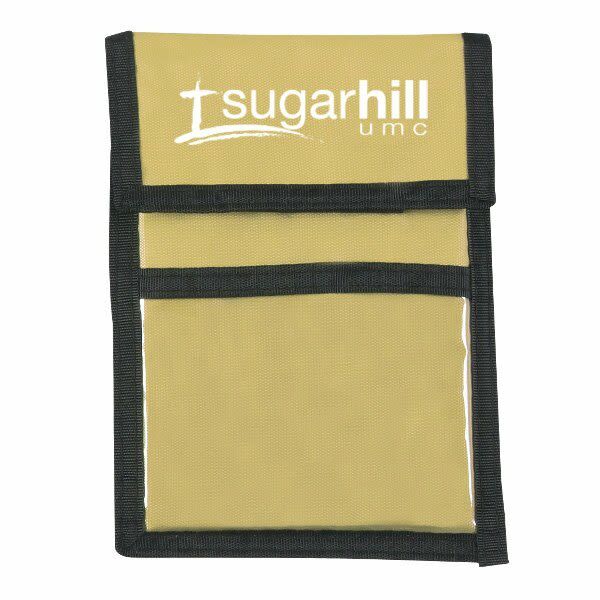 A neck wallet badge holder made of 420D nylon. 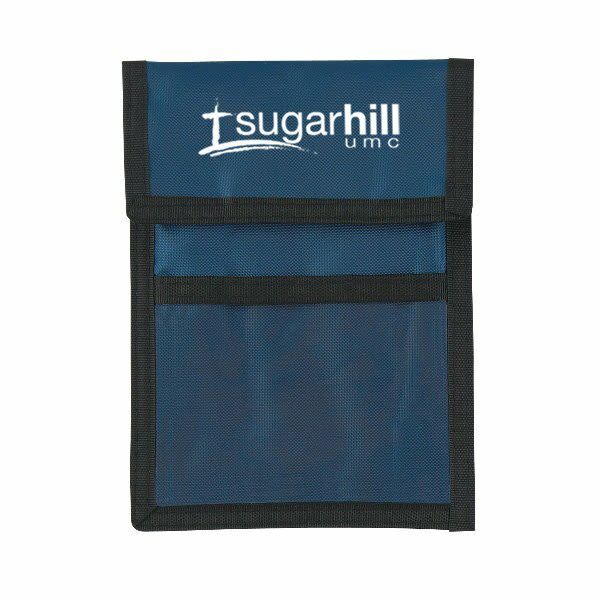 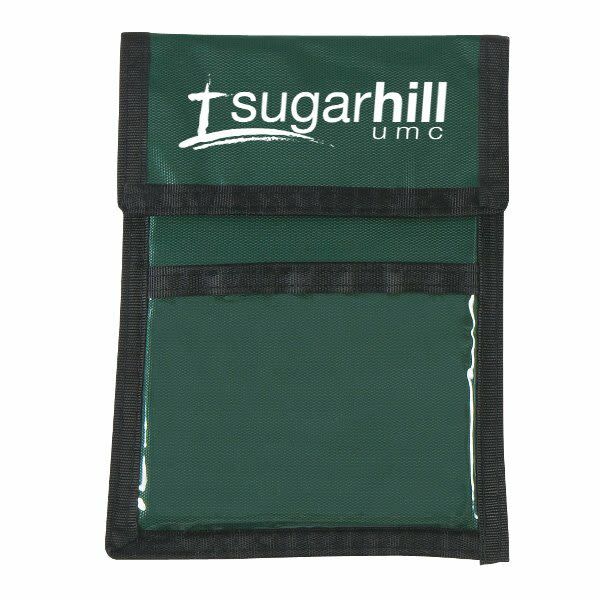 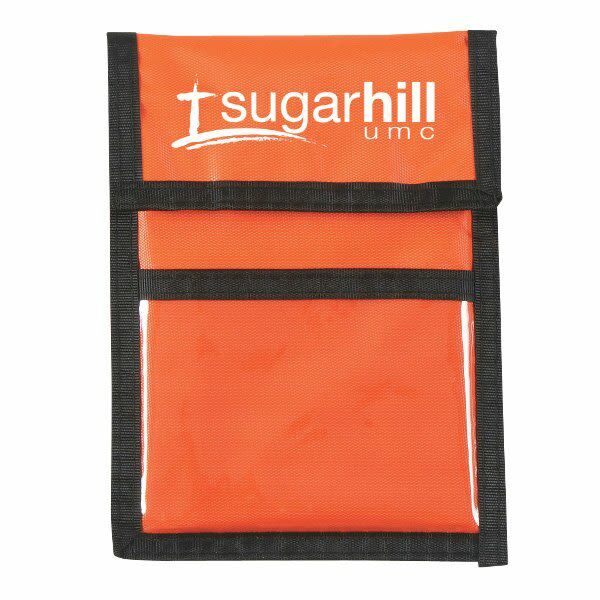 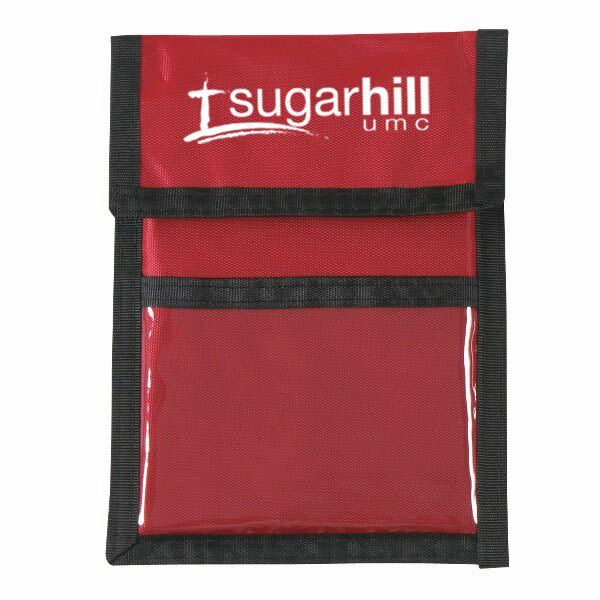 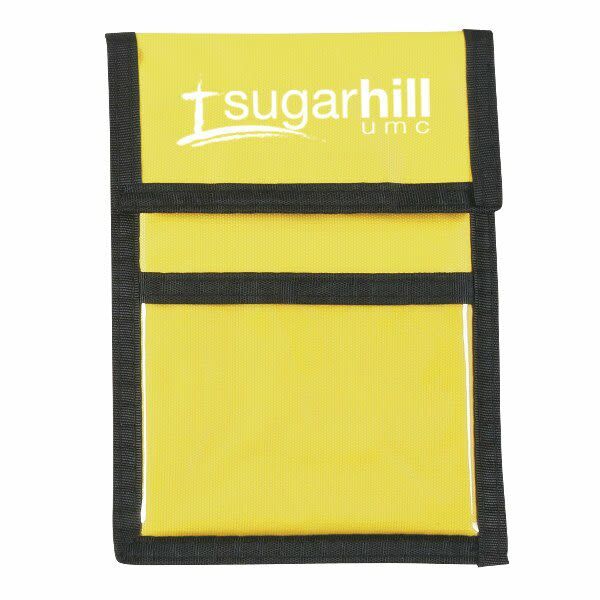 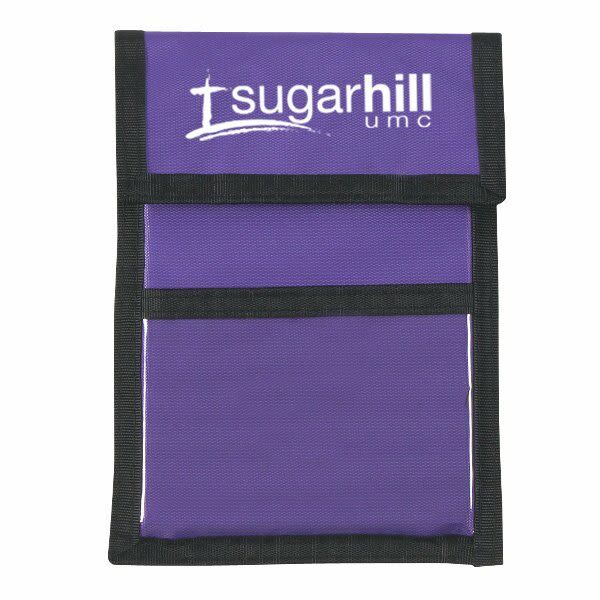 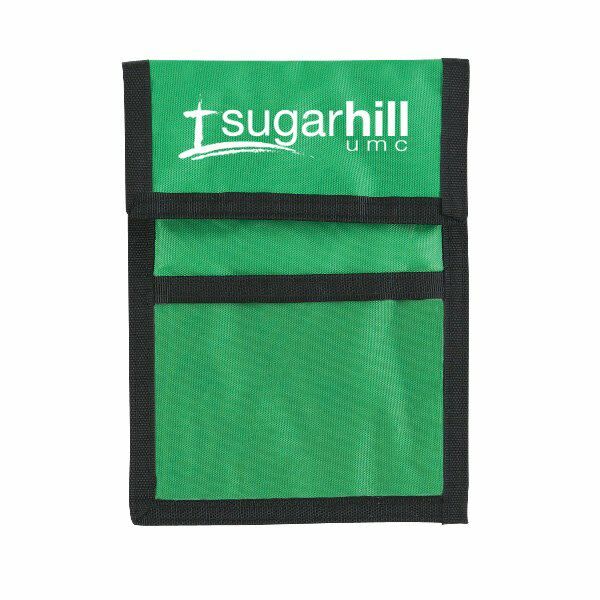 Has a 4" x 3" clear plastic badge window, an outside business card pocket and 2 pen loops. 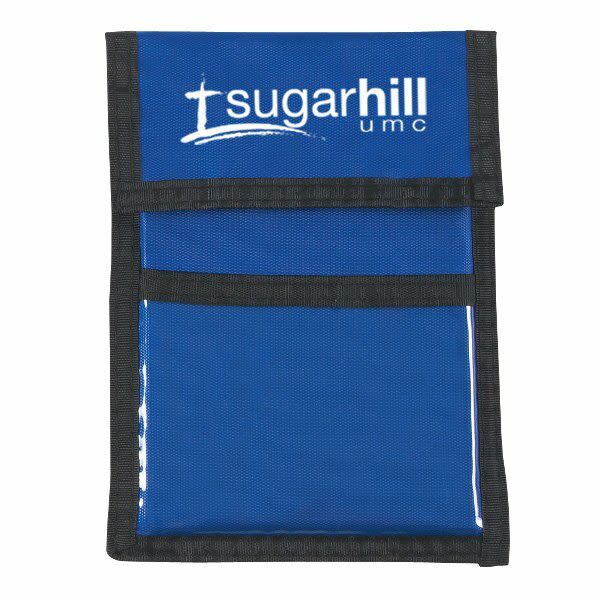 Also has an inside zippered compartment and breakaway neck cord. 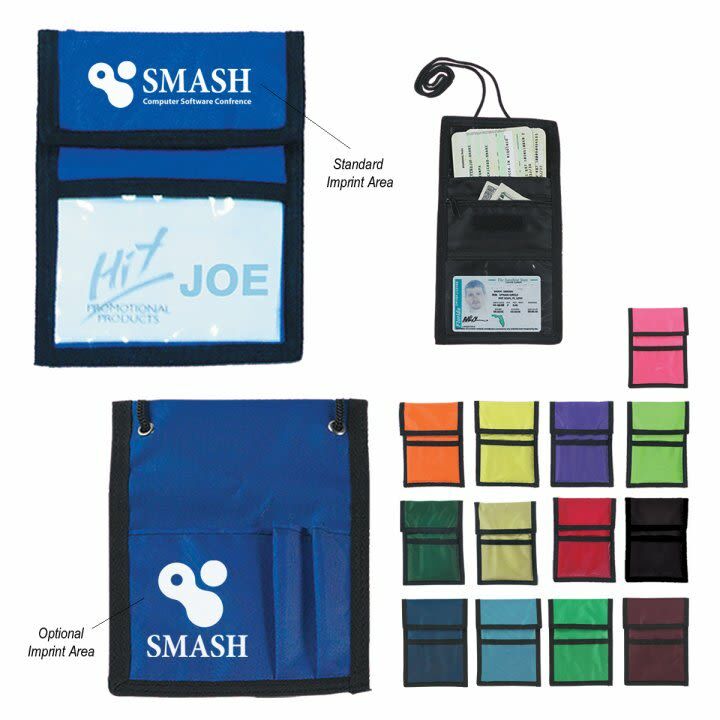 Imprint on front flap is standard, and back imprinting is also an option. 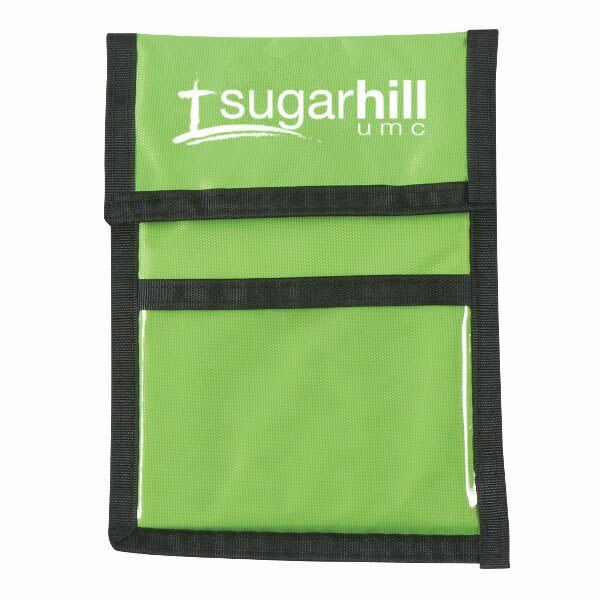 Printing on both positions is available for an additional cost. 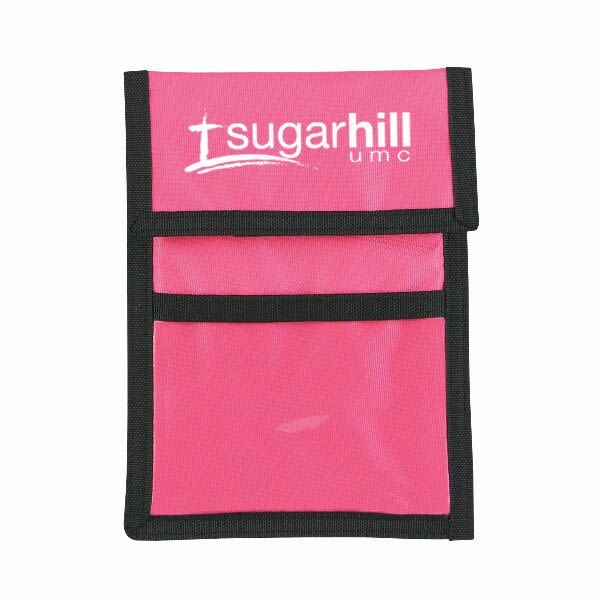 Size: 5"W x 6 5/8"